Let us come together and transform the future Yeshe Khorlo’s three-year retreat center’s land into Zangdokpalri – Guru Rinpoche’s abode. It is said that this can be done specifically through the practice of tsok offering (feast offering). 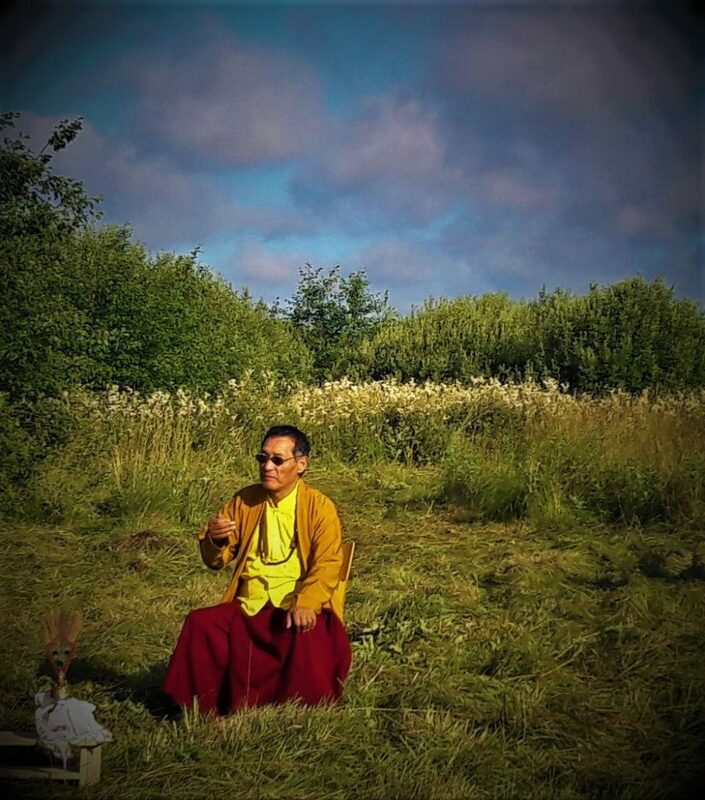 Gangteng Rinpoche and Sungtrul Rinpoche have already performed special purification rites and earth ritual on the location of the future retreat center, now it is time to transform the land into a real Guru Rinpoche’s awakened sphere. This time, Gangteng Rinpoche will first bestow the Lama Norbu Gyamtso empowerment which is followed by two days of tsok practice. In personal level, through this practice it is possible to accumulate innumerable stores of merit and wisdom and purify one’s own wrong-doings and violations of samaya. Practice is the most effective when performed together in group, all vajra-sisters and brothers gathered together. DATE & TIME: 10th of July 2019 starting time: 14 PM. LANGUAGE: Rinpoche will give teachings in Tibetan, translation to both English and Estonian. FEE: prepayment (until 1st of June) 30 euros, after that 40 euros. TOPIC: Feast offering practice (tsokkor) to attract wealth and prosperity for the future retreat center and for the individual accumulation of merit and purification of karma. FEE: prepayment (until 1st of June) 20 euros per day, after that 30 euros per day. FEE FOR THREE DAYS of teaching and practice (only as prepayment until 1st of June): 60 euros. FOOD: Vegetarian food: three meals per day: 9 euros (3+3+3). ACCOMMODATION: In Umbusi Buddhist center nearby (700 m) (www.umbusikeskus.wordpress.com); dormitory style basic conditions (personal sleeping bag necessary): 5 euros. Sleeping in personal tent: 3 euros. Better and more expensive options available in the nearby town in Põltsamaa (12 km). TRANSPORT: Frequent buses directly from Tallinn airport to Puhu rist (12 km from Umbusi, pick-up service will be arranged – just let us know in advance). Bus ticket costs 6-9 euros: check: www.tpilet.ee. Registration form can be found on our homepage.